Vehicle Graphics are best protected with a vinyl laminating film containing UV inhibitors. 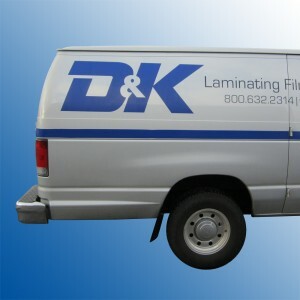 D&K manufactures the Expression™ line of laminating films designed for outdoor applications including vehicle graphics and wraps. These films are designed for flat graphic surfaces without complex curves such as the sides of vans, trucks, and buses.